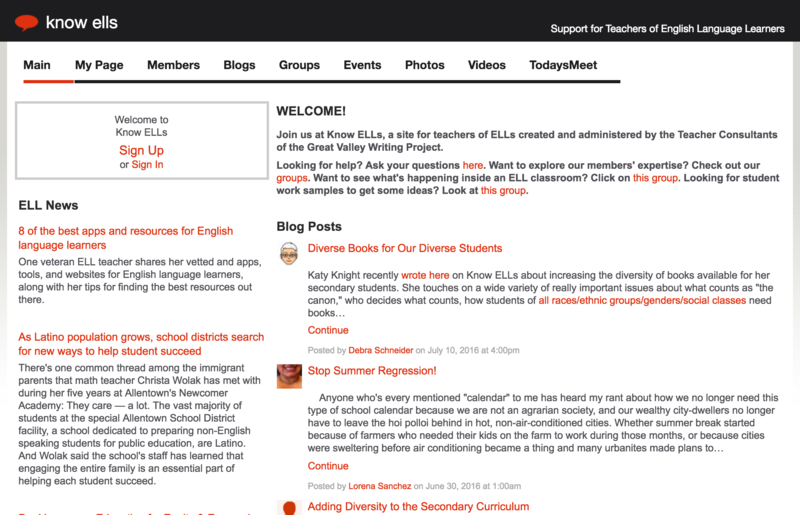 Know ELLs is a site for dialogue, but it also contains specific strategies for teaching bilingual/bicultural students. It is also a great example of site and program sustainability: the website was created in 2010 as an outgrowth of work with NWP’s English Language Learners Network, yet it remains an active site for NWP teachers from across the country. Access the Know ELLs Ning.